Yeah, I gave coffee up a few months ago. But you go ahead and grab a cup! I’ll wait. What a refreshing and honest answer from him! I mean, isn’t life pretty gosh darn exciting sometimes? I’ve been feeling that way, too, and with good reason. Why? Well, we’ve got a lot of good going on in our lives. Some meh too, but the good far outweighs the bad. And I feel like I haven’t had a chance to chat with you all in so long, you don’t know a couple of the mundane things (like the fact that I gave up coffee) and the not so mundane things. I’ve blogged about races and products, but not about life. So here’s a LIFE update! In the past few months I’ve turned up the running because I had four races in May. What you might not know is that during my last eight mile training run for the Broad Street 10 Miler, I felt the very annoying twingle (that’s a twinge and a tingle, all mixed up together) of my plantar fascia. This isn’t the first time I’ve dealt with this stupid pain in the foot so I know all the things that can help heal the heel. You might notice that running isn’t on the list. 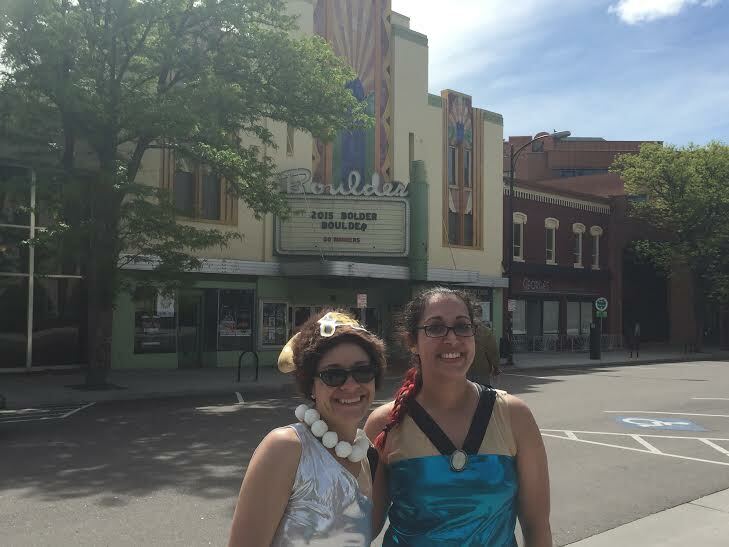 But I did the Broad Street Run, a Mother’s Day 5k, and Bolder Boulder. Smile, though your heel is aching. I had a 5k scheduled for this past weekend but wisely I decided to skip it. See, I did something smart! Yay me! My poor foot just needs a break from the constant beating it takes when I run. It’s pissed off and I am well aware of that. 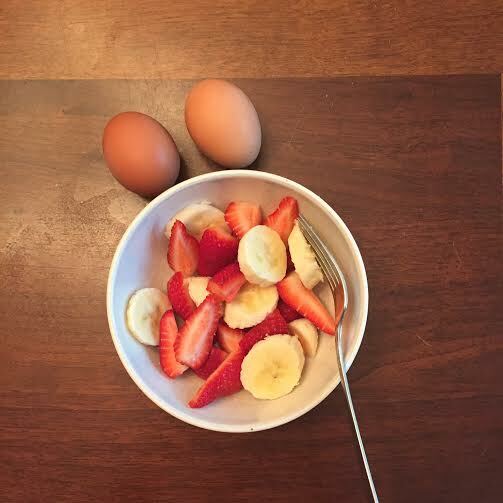 So I am going to cool it with the running for the month of June (which does not excite me, I’ll have you know, but I’m aware it’s necessary) and focus on cross training and… food. Let’s talk about this. You might have noticed I’ve been sharing some yummy looking pics on our Instagram lately. 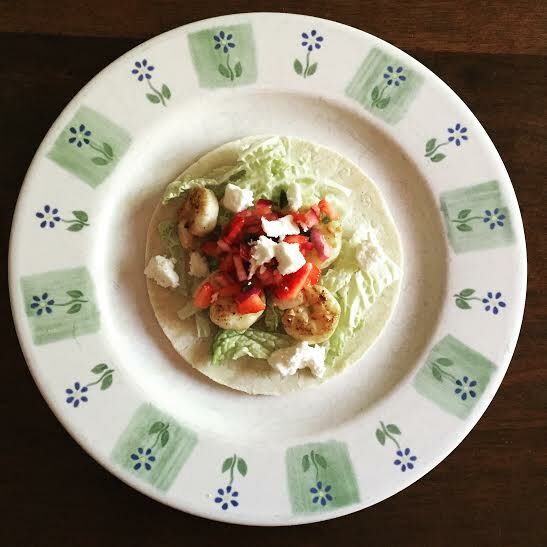 Chipotle Lime Shrimp Tacos with Strawberry Salsa – I would push people out of the way for this. 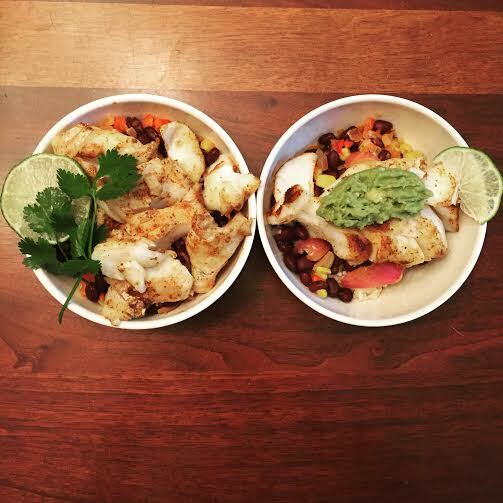 Fish taco bowl (mine’s without the cilantro because ew). Y’all, this is stuff we are making at home. We haven’t done take out in over a week. This is a big deal! So what the heck is going on here? Well, I was fairly certain that I would never, ever, ever do a product challenge. I mean, just call me Taylor Swift because that’s how adamant I was about not doing a product challenge. And yet… here I am, doing a product challenge. That will teach me. Folks at my gym are participating in the 24 day AdvoCare challenge and that includes my husband and yours truly. I’m drinking the proverbial Kool-Aid, or should I say Spark, and (prepare yourselves)… I’m actually loving it. You see, I wasn’t too sure what we were getting into when we originally signed up. It’s a 10 day “cleanse” and then 14 day “max” phase. When I heard “cleanse” I envisioned rabbit food and not a whole lot else. But as you can see from the pics, we are eating. Eating like kings and queens, even! It’s a lot of prep work and planning but I’ve got to tell you, I’m on day 6 as I’m writing this 5/31, and I’m down 5.2 pounds. But more importantly, I’ve got a ton of energy and a renewed sense of accomplishment. Doing the healthy living/eating thing can get sort of rut-like after awhile and this has helped snapped me out of that! I’m hopping up and down (on one foot, to give my left one a rest). I’ll keep you posted with the final results. We finish the 24 days on the 18th of June. First day of June, holla at me! June is really exciting, right? I mean, end of school (for us Jersey folks), long days, sunshine. I love it! 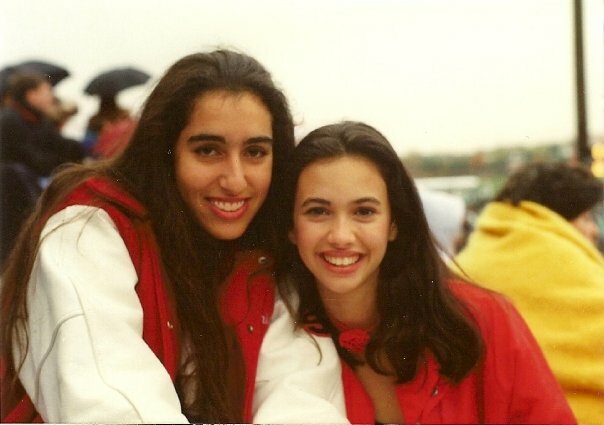 Me with my dear friend Bernadette, 20 years ago. My 20th high school reunion is this month. If you’d have told me in high school that not only I would be going but I’d be paying over $100 to attend, I probably would not have believed you. Actually, I would have laughed in your face. Yet, I’m going. And not only that, but I’m actually looking forward to it. Life is weird. And exciting. 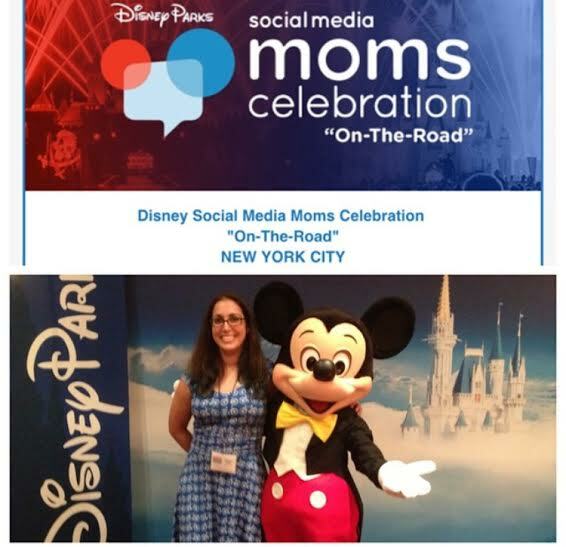 Just as exciting, I’ve been invited to the Disney Social Media Moms event in New York City! I was very appreciative to be invited to last year’s Philly event and although timing didn’t work out for me to make it to this year’s Florida conference, I’m thrilled that I’ll be at the NYC On the Road celebration. Disney is very good at bringing the magic along with them and paired with awesome speakers and great attendees, it makes for a party-like atmosphere that cannot be compared. The new business cards are on their way and I’m hard at work figuring out what I’m going to wear. I’m thinking Disneybounding might just be in order. Zip a dee doo dah! And don’t even get me started about July! But enough about me. Now it’s your turn! Tell me about your life. What exciting things do you have on the horizon for June? Will I be seeing you at the Disney Social Media Moms NYC? Or perhaps at my house for dinner (open invite!)? This entry was posted in Fun stuff, Uncategorized and tagged advocare, advocare 24 day challenge, disney, Disney Social Media Moms, food, foot pain, high school reunion, Mer, plantar fasciitis. Bookmark the permalink. The first sentence of this post got me….. I have so much respect for people who can give up coffee. I’m addicted and have a serious addiction , I’m on cup two already this morning it’s 6am 🙂 Great job! -I hope that foot heals! Right? Kids sometimes just GET IT. Way more than adults do. Of course he also thinks that we are going to have an alien encounter sooooo maybe I won’t be relying on him for all my wisdom. You’re not currently teaching right now, right? When does school end by you? We still have a couple of weeks to go! And YES. Returning to working out. We’ve got things to do in November! I am SO unmotivated with the cooking lately! End of school year (we’re already done in GA – holla!) and other stuff had me overwhelmed. But now it’s a new month, the frig is getting empty and I just might have to get back on that horse. I don’t want children who turn into chicken nuggets and hot dogs. Because, ew. Girrrrl, when you posted the lunchable the other day I was like, she is me. That said, my younger child will only eat a handful of things and a lunchable is on that very short list. I must say, the clean eating is really doing wonders for both our budget AND our energy. It’s nice to feel not bogged down by food. Giving up coffee? Ahhhh….the horror! Ha! For me, it isn’t about the caffeine. I only do half-caff or decaf. For me it about the ritual. The warm cup in my hand. The slow sipping. It is sort of my mid-morning or late afternoon “snack.” I haven’t had pop (yes, I’m from the Midwest) for about 3 years, though…so, I consider that a victory! June is full of: kiddo in summer camps (gymnastics, soccer, and schoolish one), me finding time to fit in running and yoga despite injuries, and the pool and shore. All summer all the time. And, if you aren’t careful I just MIGHT show up at your house for DINNER! Maybe I’ll come over and hold your coffee for you? Then I’ll feel connected! But yes, I totally get what you’re saying about that. I was never a soda/pop fan so that wasn’t difficult. Honestly, I miss cheese most of all. And ice cream. You’re more than welcome here for dinner any day of the week! Yay for ALL the things! I seriously am loving the recipes you are sharing 🙂 Thanks for sending a few taste-tested, Daniel approved ones my way! – have fun at your reunion 🙂 I know you will. and $100? wow- we kept our low. $15pp. Hi hi hi! I love seeing you comment on my posts. <3 I can't wait to hear what you guys think of the recipes we shared. Keep me posted. Dude, when I saw the price for the reunion I gasped out loud. I'm sure the cost will prohibit some from attending. Jay considered coming along with me but I can't see spending over $200 and he'd only know a handful of people. So I'm meeting up with some of the girls (all of whom you know) and doing that! OH! Emailing you the dress I just ordered!